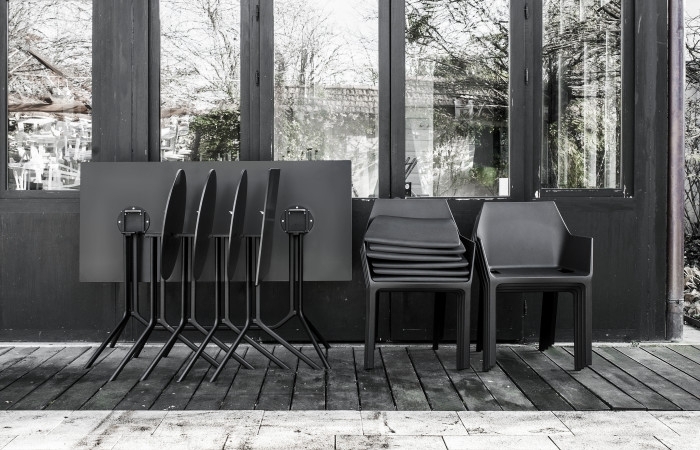 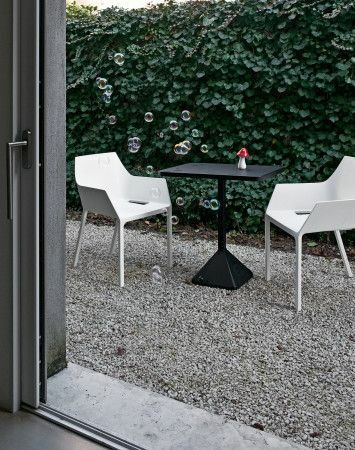 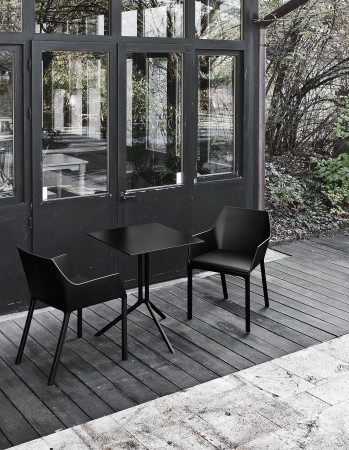 Christophe Pillet has sculpted a chair with armrest for Kristalia, suited also to use inside, perhaps in a modern office or flat, as well as in a garden or on the patio of an al fresco restaurant. 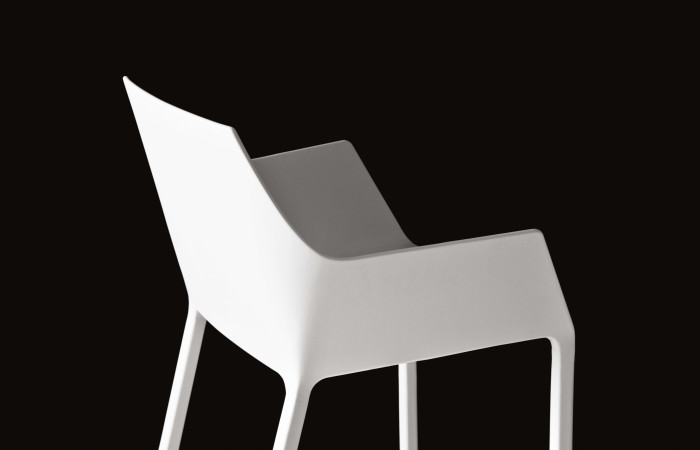 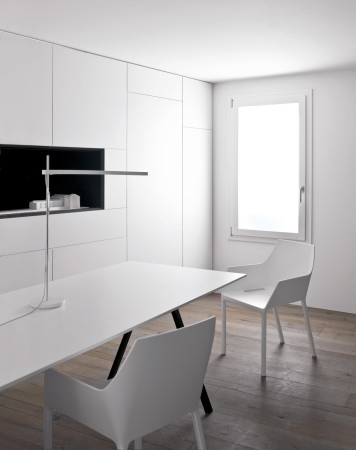 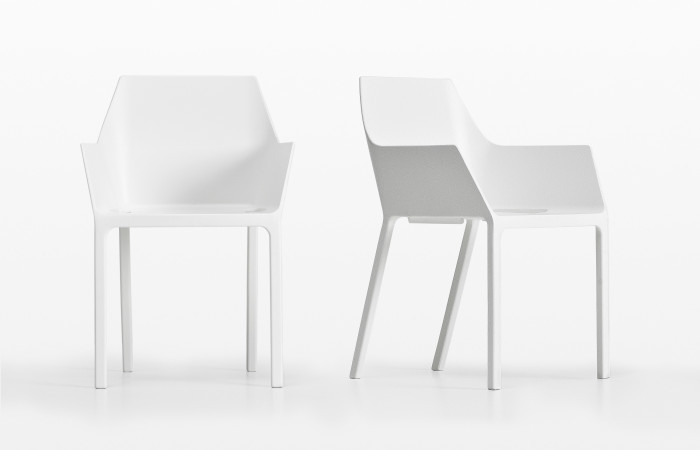 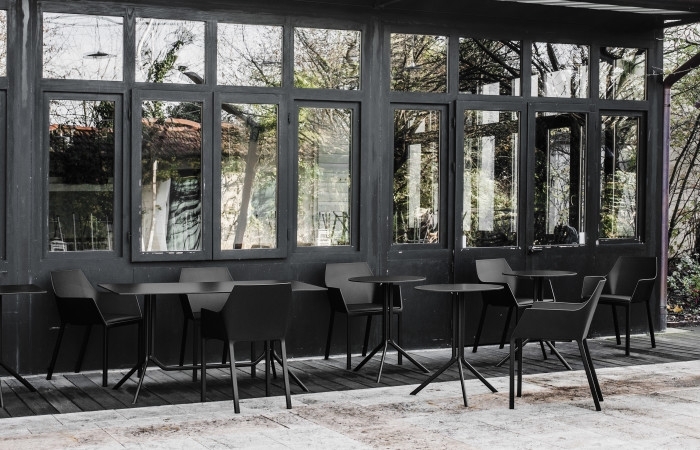 The chair is visually striking, not in colour, for it is both sensibly and starkly monochromatic, but in form: the arms sweep out at 20 degrees, while the trapezoidal shape of the rear legs is engaging as a play upon perspective as all four legs can be easily seen from the front. 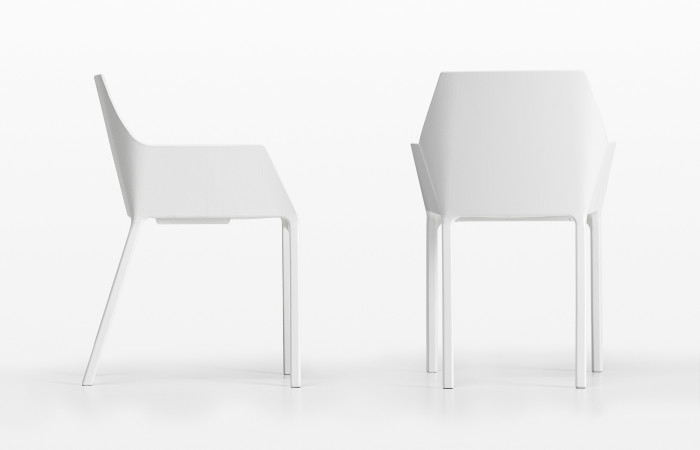 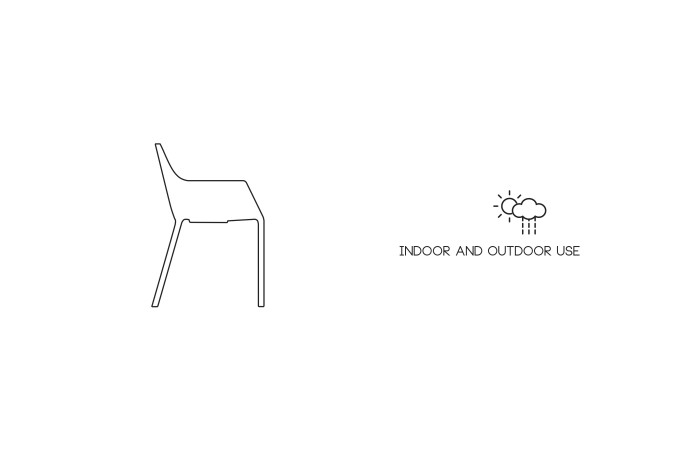 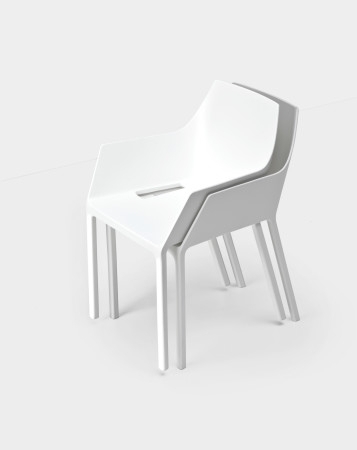 A modern seat, its name is inspired by an ancient sound: Mem; its import is ‘water’ in the tongue of ancient Egypt. 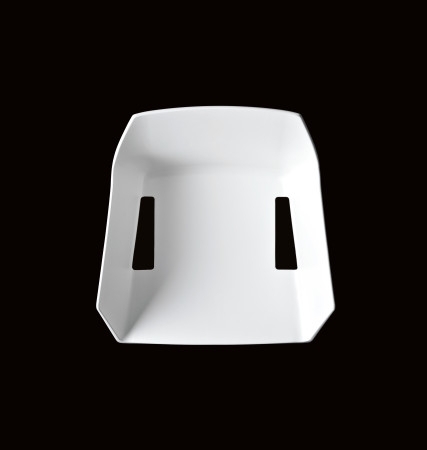 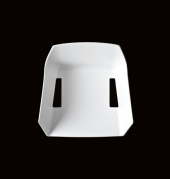 This plastic chair with an armrest is made from reinforced polypropylene with glass and print injected into it, giving great resistance with an elegant design of cleverly accented angles and curves.